Construction of a freeway to freeway interchange at the State Highway 70/149 interchange, including the construction of Table Mountain Boulevard and driveways to provide access to adjacent parcels. Construction of a median and two lanes for the full length of State Highway 149, including the realignment of a portion of Shippee Road. 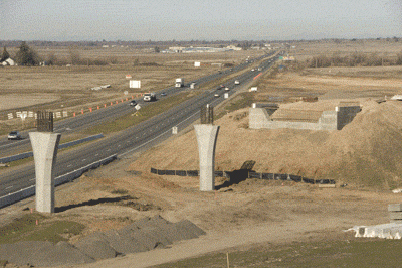 Construction of a freeway to freeway interchange at the State Highway 99/149 intersection, including the construction of Book Farm Road and driveways to provide access to adjacent parcels. Realignment of State Highway 191 to intersect State Highway 70 and add traffic signals. Reconstruction of State Route 70/191 intersection North of Oroville. Bridge work consisting of 10 reinforced/pre-stressed concrete slab or box girder bridges. Approximately 220,000 cubic meters of base aggregate, along with 260,000 tons of Asphalt Concrete will be used to construct the new roadways. As a sub consultant, Summit Associates provide professional and technical construction engineering, office engineering and claims services on an “as needed” basis to Caltrans in support of the development and construction of various projects in Caltrans District 3. Services are being performed for projects located in Butte, Colusa, El Dorado, Glenn, Nevada, Placer, Sacramento, Sierra, Sutter, Yolo, and Yuba counties. Summit Associates personnel provide services that include, but are not limited to: construction contract administration, review of contractors Storm Water Pollution Prevention Plan (SWPPP), technical support for materials acceptance, progress pay estimates, maintaining construction files, providing photographs of jobsite/operations, ensuring contractor work and operations are contract compliant and reporting this in a daily diary, final inspection of work performed, along with a strong emphasis on Contract Change Order (CCO) and Claims support.